From Chile comes this amazing climber. Flowers rich during the summer. 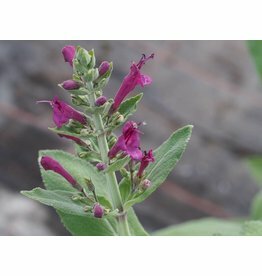 Looks like a Salvia, but isn't. Powerful, rising plant from Chile with large, smooth fresh green leaves and late summer red-brown tube flowers of great beauty.